AI Promo offers a low-cost, subtle way to improve your Linkedin following and get more connections with peers and other professionals. The Artificial Intelligence (AI) model takes care of your online presence by letting you select topics, schedule your updates, and engage with your professional social network. 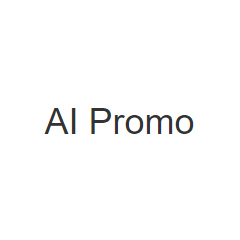 AI Promo helps boost your LinkedIn presence through finding the best content, scheduling posts to be published on your LinkedIn timeline and getting more connections with peers, influencers and potential employees. All updates appear to have been posted by you.